New York Locksmith Insurance. In order to run a successful locksmith business you need more than just trained and certified locksmiths. Your locksmiths need to be bonded as well. Bonded means the locksmiths' liability is guaranteed by an exclusive bonding company (insurance company). Simply put, if the locksmiths cause any damage while performing their duties the financial obligation due to the third party is absorbed by the insurance company. Locksmiths install, repair, open, and replace locks and locking mechanisms on homes, businesses, and automobiles. Other services include key duplications and retail sales of hardware and locks. Locksmiths often provide 24-hour emergency unlocking services. Some locksmiths also service safes, alarm and security systems. Many business owners are under the false perception that if a locksmith is licensed they are also automatically insured. This is not true. The two are not related. Licensure speaks of a locksmith's professional training while New York locksmith insurance speaks about a locksmith's liability. New York locksmith insurance protects your business from lawsuits with rates as low as $37/mo. Get a fast quote and your certificate of insurance now. General Liability Insurance - This is an insurance policy that all NY businesses should have. It covers any damage resulting from work done as well as any injuries that might have occurred while working to any third party. Should the third party pursue legal action the general liability insurance policy will be claimed and be used to cover the associated costs e.g. any medical costs incurred, the cost of damaged property e.t.c. One great benefit of a New York locksmith insurance policy is it protects the locksmith wherever he goes. In addition, the policy can be used to cover the business should another business bring legal action claiming slander or copyright infringement. NY Business Auto Insurance - The locksmith profession is a highly mobile one. Constant travel is part and parcel of their occupation. For this reason, commercial auto insurance is absolutely essential particularly for the locksmiths who work primarily from company cars. A NY commercial auto insurance policy will cover the costs for any accidents regardless of who is at fault, any damage done to the vehicle due to a collision with wildlife and even damage caused to the vehicle by weather. The commercial auto insurance policy can also be used to make up for any difference that might arise in the event the employee uses his own vehicle to pursue work-related errands and his personal auto policy is not sufficient to cover the financial consequences resulting from an accident e.g. medical bills, vehicle repairs etc. This is called an non-owned coverage. Professional Liability Insurance - Also know as errors and omissions insurance, this New York locksmith insurance policy that covers the locksmith in the event a professional oversight or error occurs which results in the financial loss of a third party, which is usually the customer. For example, if the locksmith uses forceful entry and it is later determined there was a more sophisticated approach he could have used, he might face a professional liability lawsuit. In such a case the insurance policy can be claimed to cover the legal defense as well as any related expenses. Additionally, if the locksmith made any omissions that might be construed as negligence that resulted in financial loss of a third party the professional liability insurance policy will still help cater for the legal expenses and the awarded damages to the plaintiff should the locksmith be found to be at fault. Commercial Property Insurance - This New York locksmith insurance policy protects the locksmith's tools and property in the event they are damaged or lost. The damage or loss may be caused by a natural disaster, theft or even a fire. The policy is claimed to help with the repair and replacement of the tools or property. With property insurance, business owners have the option of choosing between cash value and replacement value insurance plans. A cash value plan reimburses cash at the depreciated value of the property while a replacement plan replaces the tools/property at the initial price. Workers Compensation Insurance - Workers comp is require in most states for an non-partner or owner employees. 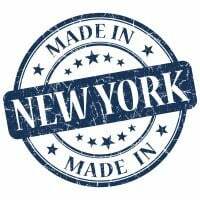 NY workers comp policy covers the medical costs of locksmiths injured while working. Regardless of whether they get injured by their tools, or they happen to slip on a wet floor, or their injury occurs in any other fashion, the policy will cover their medical costs. In some instances the policy may be used to compensate the locksmiths on wages they might miss out on while recovering. Umbrella Insurance - Commercial umbrella is excess liability insurance that provides additional liability coverage beyond the limits of the underlying liability insurance. If your locksmiths regularly work for clients who own property that is very expensive extending the coverage of some of your New York locksmith insurance policies is recommended since its very possible you might end up facing a liability suit that requires more than your current policies permit. This policy guarantees that any difference will not be drawn from company funds. Premises liability exposures are light at the locksmith's premises due to lack of public access. Off-premises exposures are moderate at the client's premises, but customers can be injured or their property damaged during repair or installation. Employees of the locksmith may steal from customers. Locksmiths are held to a high degree of care because of the trust their customers necessarily place in their work. 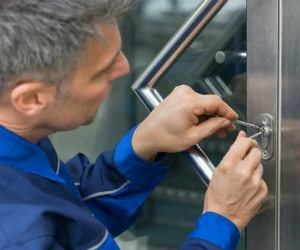 Any time security issues are involved and a theft or crime occurs, the exposure of the locksmith who promises safe, secure premises from the installation and use of a product can result in significant products losses. The completed operations exposure can be very high if the locksmith monitors alarms. Property exposure may be limited to an office and storage of equipment if the locksmith handles only on-call lock services. If there are retail lock and security systems sales, the stock will be susceptible to fire, smoke and water damage. Specialty equipment used to duplicate keys and open locks is a target for thieves. Crime exposure is primarily from employee dishonesty. Background checks, including criminal history, should be performed on all employees providing services to customers or handling money. Employees who cannot be bonded and licensed are a significant hazard as they have ready access to the special tools used to duplicate keys and open locks, plus access to customers' premises and property. This exposure can quickly grow from a crime loss against the locksmith to a liability loss from customers. Physical audits of all equipment should be conducted regularly. Receipts for monies received from customers should be reconciled daily. All ordering, billing and disbursement should be handled as separate duties with reconciliations occurring regularly. Inland marine exposures include accounts receivable if the locksmith offers credit to customers, computers, contractors' equipment and tools transported to customers' premises, goods in transit if there are retail sales, and valuable papers and records for customers' and suppliers' information. The equipment used to open locks is attractive to thieves as it can be used to break into buildings and cars. If the locksmith installs locks or security equipment, there will be an installation floater exposure. Business auto exposure generally consists of travel to and from job sites. MVRs must be run on a regular basis. Random drug and alcohol testing should be conducted. Vehicles must be well maintained with records kept in a central location. Emergency services result in driving to unfamiliar places at unusual hours. A significant hazard arises if the insured lacks standard procedures that apply to "on call" personnel regarding sleep, alcohol or drug use, and radius of operation. Workers compensation exposures come from the cutting, welding, drilling, and other necessary processes during the repair and installation operation. Persons on call to handle emergency lock-outs can be injured in automobile accidents or face danger from robbery and personal attack, especially in high-crime neighborhoods, as the equipment and tools they carry are attractive to thieves. There are many potential risks you face when operating a NY locksmith business. Having New York locksmith insurance will help protect your operation, while minimizing out of pocket expenses if you are ever sued.